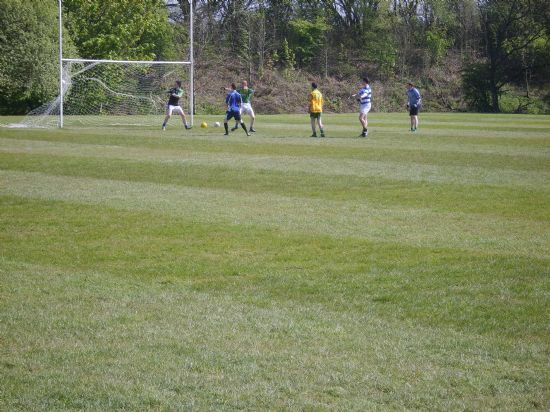 The second round of games saw the Ulster Scots face off against the ROI team. With ROI talisman Eamonn Tobin having shrugged off a mystery early illness, the drive through the middle proved too strong for a Ulster/Scots team blooding a number of new caps. Familiar faces in the guise of Paul McGovern and Kevin Porter were thrust on to stem the irish onslaught, with JP Noonan and James Lucey proving elusive. The ROI teamed moved to the top of the table with a good victory. 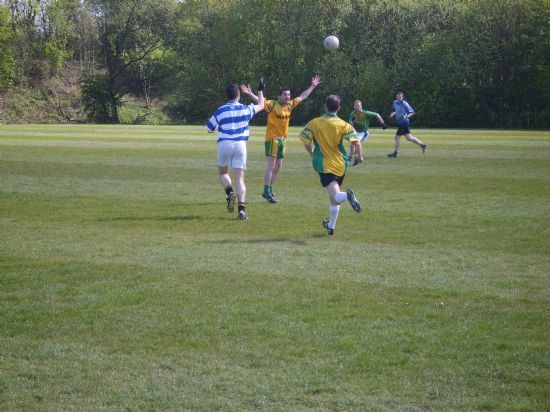 The next match saw the Mulroy team face the Donegal lads. 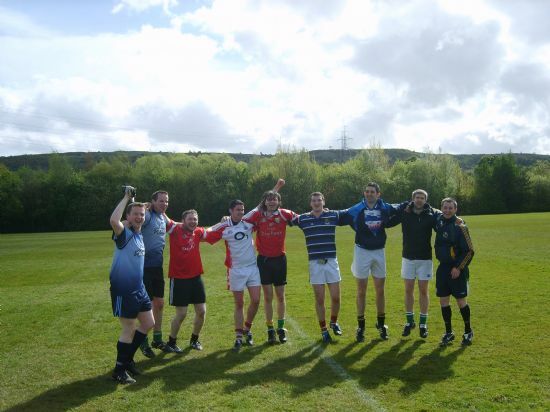 With the Mulroy team restored to full compliment, a competitive match was guaranteed. Stephan McFadden rolled back the years with a virtuoso display (despite looking like he'd came straight from the Wizard of Oz with his red boots). 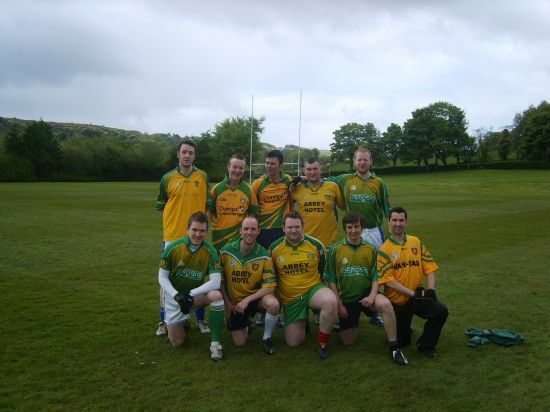 The Donegal team showed their mettle and sealed the win. 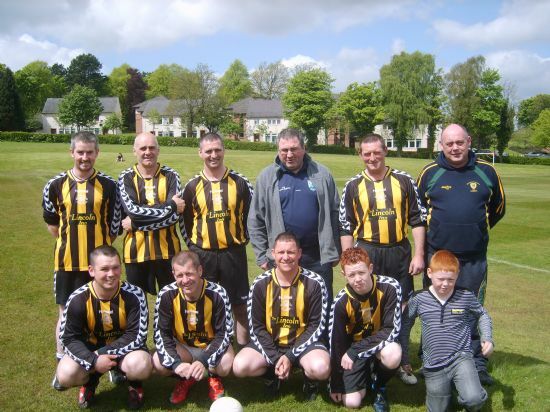 The final round of games saw the Ulster Scots play the Mulroy Gaels. A tight match saw a number of contentious decisions divide opinion. At the stroke of half time, Mulroy bagged a goal to level the game, catching the Ulster/SCots defence asleep. Young Michael Doherty was aggrieved at having a goal chalked off, however bagged a score to seal the win for the Ulster Scots. In a top of the table clash, a strengthened ROI team clinched first seed berth with a good win over Donegal. 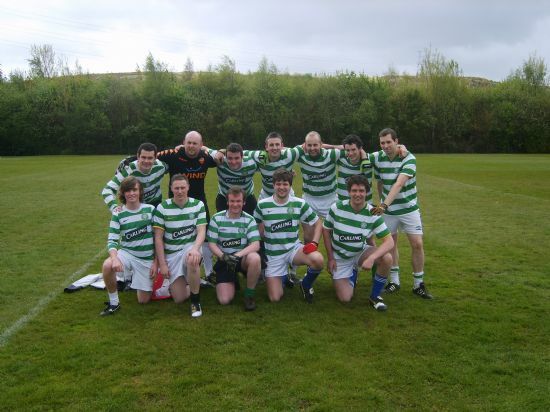 The win set up a semi-final with Mulroy, while Donegal faced the Ulster/Scots. Semi Final one was a close affair. No team ever raced ahead, and the game was in the balance right till the end. With the scores ltight, a silly free kick (needlessly given away by Anton Gallagher) saw the ties level, and at the final whistle, penalties ensued. First penalty was taken by John Lyttle for Donegal...GOAL. Ulster/Scots first taker Damien Shannon....miles wide. Next up, Derrick McGrath...GOAL. U/S next up Danny McGowan...SAVED by Doohan. 3rd Donegal kick by Paddy McCauley...GOAL. Paul McGovern to keep the Scots in it...wide. Donegal won through in dramatic fashion. In the second semi final, the heat and intense nature of 7s seemed to affect a tiring Mulroy Gales side. 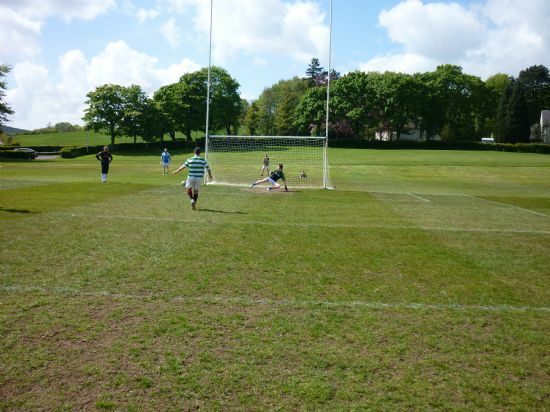 Despite the best efforts young Thomas Friel up front, a Liam Roberts inspired ROI breezed throught to the final. After the dust settled from Thornley Park, the assembled throng gathered at The Admiral Bar for the night time entertainment. The music played, with 'Peas and Barley' and Sean kept the night flowing brilliantly. The trophies were presented to the winners and runners-up, with Conor Manning winning the Player of the Day award. The organisers would like to thank everyone involved in making the day such a success, and it is important to remember the reason so many people turned out. 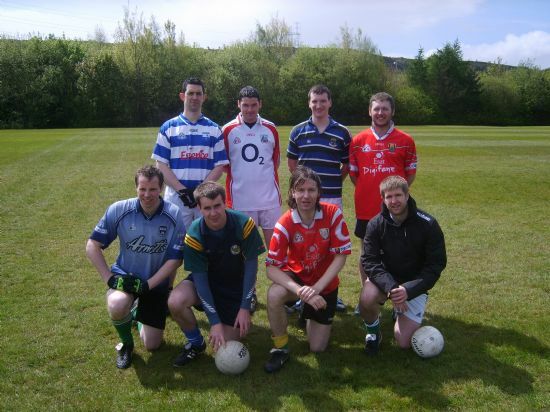 Danny Hurley touched a lot of people with his warmth, charm and his passion for Gaelic football, and it was a testement to his memory the amount of people who attended both events. It is hoped this event will become an annual celebration of Dannys life, and will ensure his memory lives on.